Research-informed teaching practice (RITP) involves teachers and school leaders engaging with high quality research evidence, with the purpose of using any insights gained to improve specific aspects of teaching and learning in their schools (Groundwater-Smith and Mockler, 2017). RLCs have been developed from a programme of research undertaken over the last four years, focused on establishing effective ways of connecting research and practice (e.g. Brown, 2013, 2014, 2015, 2017a; Brown and Rogers, 2015; Brown and Zhang, 2016a, 2016b). The RLC approach thus represents a synthesis of this work and is grounded in a number of core research-informed ideas. For example, the idea that RITP is most effective when it involves engaging teachers in a facilitated process of learning, designed to help them make explicit connections between research knowledge and their own practitioner-held knowledge and experience. RLCs are also grounded in the notion that the effective scale-up of research-informed interventions will be dependent on there being ‘the right people in the room’ - those with the influence and authority to lead educational change (see Brown, 2017b for detail on the key factors underpinning the RLC approach). In terms of their practical implementation, the RLC process involves teachers and school leaders engaging in four workshops held over the course of a school year, each corresponding to a stage in the RLC ‘cycle of enquiry’. Specifically, participants engage with research and are then supported through the four workshops to: 1) relate this research to their own practical knowledge and knowledge of their context; 2) develop an intervention, grounded in research findings and their own practical knowledge, and designed to improve specific aspects of teaching and learning (i.e. achieve a teaching related goal or vision); 3) trial and refine their intervention to maximize its effectiveness; and 4) ascertain impact and roll out impactful interventions within and across schools. In between workshops, participants are expected to work with school colleagues to share research knowledge and to enable colleagues to assist with the development, trial and roll-out and the impact assessment of interventions. Over the last two years, I have been working with the reception teachers from the Chestnut learning federation[i] - a family of three small Church Infant Schools based in Hampshire - who wanted to use the RLC approach to develop research-informed interventions to improve the writing outcomes of their summer-born children (those children born between 1 April and 31 August and who typically have lower educational attainment, as measured by standardized tests, than those born at the start of the year). The RITP resulting from the RLC activity appears to be responsible for a substantive increase in the federation’s summer-born children’s outcomes: in 2014-15, 60% of summer-born children in the federation achieved the expected level of the Early Learning Goal (ELG) for writing compared with 87.5% of their autumn born peers and 67.3% of summer-borns in Hampshire. Following year one of the RLC (2016), 86% of summer-born children met their ELG for writing: an improvement of 26%. This improvement was also sustained in year 2 of the RLC (2017) with 82% of summer-borns meeting their ELG for writing. In comparison, over the same period the federation average for all children achieving the ELG for writing has remained at 83%. Although these figures do not provide a concrete demonstration of causation, they augment recent randomised control trial evidence suggesting that the RLC model helps teachers engage with research-evidence and that research engagement leads to improved KS2 outcomes. [ii] It is suggested therefore that this RLC case study provides an example of how research activity, and the understanding that emerges from it, can be developed into an intervention (the RLC model) which itself can successfully drive improvements in classrooms and schools. Brown C. (2013) Making evidence matter: a new perspective on evidence-informed policy making in education, (London, IOE Press). Brown, C. (2014) Evidence informed policy and practice in education: a sociological grounding, (London, Bloomsbury). 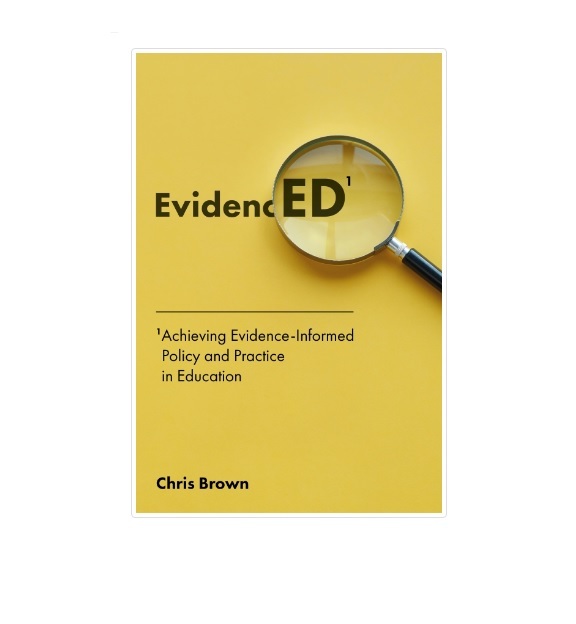 Brown C. (ed) (2015) Leading the use of research and evidence in schools, (London, IOE Press). Brown, C. (2017a) Achieving evidence informed policy and practice in education: evidencED, (London, Emerald). 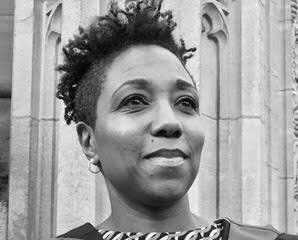 Brown, C (2017b) How to establish Research Learning Communities, Professional Development Today, 19, 2, pp. 30-55. Brown, C. and Rogers, S. (2015) Knowledge creation as an approach to facilitating evidence-informed practice: examining ways to measure the success of using this method with early years practitioners in Camden (London), Journal of Educational Change, 16, 1, pp. 79-99. Brown, C., Schildkamp, K. and Hubers, M. (2017) Combining the Best of Two Worlds: A Conceptual Proposal for Evidence-Informed School Improvement, Educational Research, 59, 2, pp. 154-172. Brown, C., and Zhang, D. (2016a) How can school leaders establish evidence informed schools: an analysis of the effectiveness of potential school policy levers, Educational Management and Leadership, 45, 3, pp. 382-401. Brown, C., and Zhang, D. (2016b) Is engaging in evidence-informed practice in education rational? Examining the divergence between teachers’ attitudes towards evidence use and their actual instances of evidence use in schools, British Educational Research Journal, 42, 5, pp. 780-801. Groundwater-Smith, S. and Mockler, N. (2017) The Study of Education in Australia: shifting knowledge interests, in G. Whitty and John Furlong (Eds) Knowledge and the Study of Education, (Didcot, Symposium Books) (pp. 123-144).